The speakers reproduce the dynamics and details of a recording. 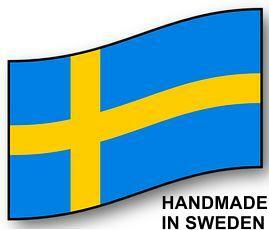 The engineering and production is made in Sweden, with a no compromise thinking. The summary characteristics are accuracy and precision. The result is a natural sound for you to enjoy. A speaker of the ordinary – visit us and enjoy yourself! It really singing about these speakers. The sound is clear, renderings as a slap, neutral and distinct. In some cases resembles the sound of electrostatic elements, ie, the start and stop instantly and clearly and thus provide corresponding micro dynamics. They deliver a realistic and believable soundstage, which is substantially neutral and solid. You will hear more details at higher resolutions, and energy. The music reaches the listener (assuming that you are sitting in front of the front side) comes from the array of four full range drivers, without any crossover filter. We promise that this direct sound is so damn good, and the music just flows against you in balanced buoyancy, which is really enjoyable. The remaining solution is a tonic supplement, to this audio. RAW 12H is very phase-linear in character, which guarantees minimal distorsion. Along with an qualifyed amplifier that has good control over the drivers, created a fantastic result! 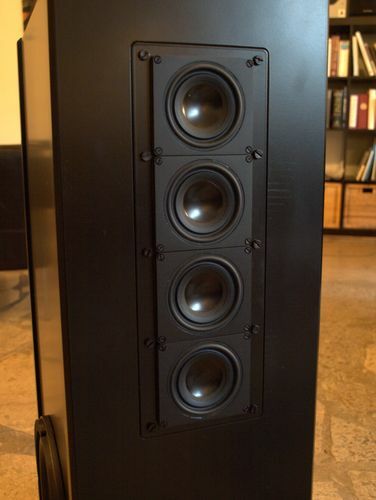 Some people get a little out of balance, when they listen to these speakers, to begin with, because they are unaccustomed to the whim of neutral and linear sound. They do not sound like conventional speakers, but more like reality. But very soon, you get used to this sound and after a while it will be difficult to return to your regular speakers. We can mention a downside and that is bad recordings is revealed so obvious. To hear the music through the full range drivers, connected in array, omnidirectional and supplemented with woofers and super tweeters, is an unusual hybrid solution that just washes over the listener. The big advantage of using a full-range driver, is that there is no need for crossover, which, with its components causes the phase shifts and distortion. Certainly it is possible to construct good crossover, but without is always clearly better. By creating speakers with line source array, i.e. more elements in vertical formation, the result is a very finest details. 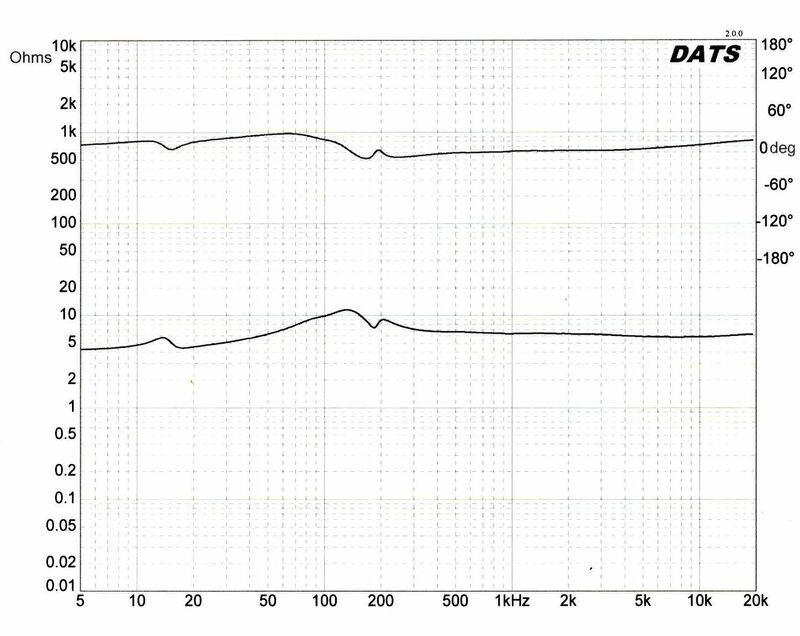 Each driver needs to move less to produce the same sound pressure (SPL), which reduces the motion-related distortion. Array speakers wider listening angle (sweet spot) and more convincing soundstage with less colored sound. 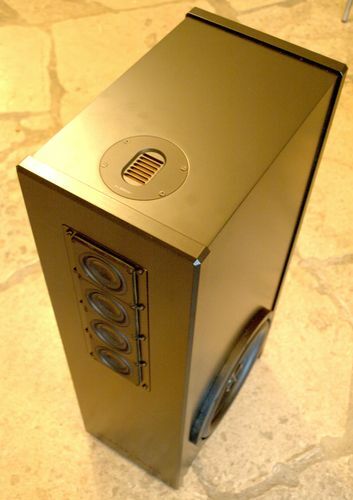 RAW 12 is further bipolar (there are speakers on both front and rear), and fortified with both woofer and passive radiator and two super tweeters that gives more energy to the higher frequencies. All this makes the overall solution becomes a notch better. All parts are known designs but the combination is very rare. We have worked a long time with the details to get everything to match together. A disadvantage is that there are many drivers and this increases the cost, but the focus is on the details for the best sound. Hybrid solution provides truly more realistic sound, clarity, accuracy, speed, no annoying distortion, no phase shift ear perceives, deliberate delay by reflecting sound, good reflection, an overall sound that is natural and effective as well as more omnidirectional, which many times makes it easier to furnish and utilize the room’s acoustics. The speaker RAW 12 has twelve drivers, which you will both hear and feel. 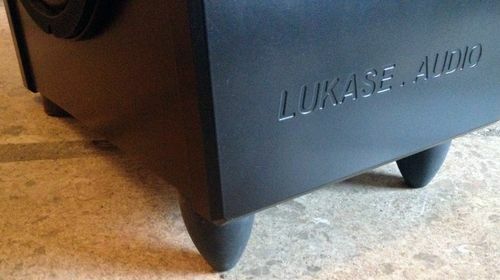 Each speaker weighs over 60 kg, so they are stable. Clean the concert experience at home in your living room! What more could you ask for? So listen and be seduced by this addictive solution! 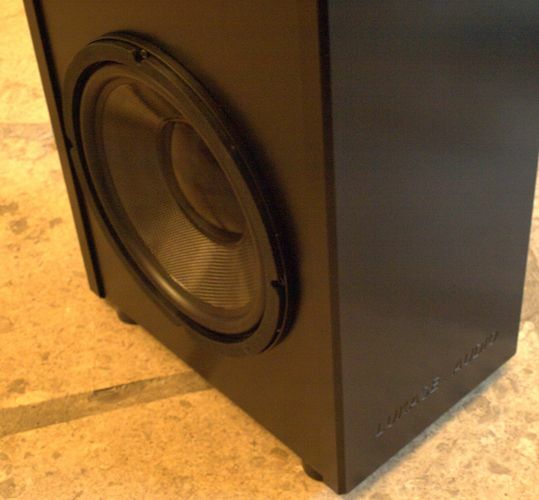 Why have a speaker that goes above 20 kHz? 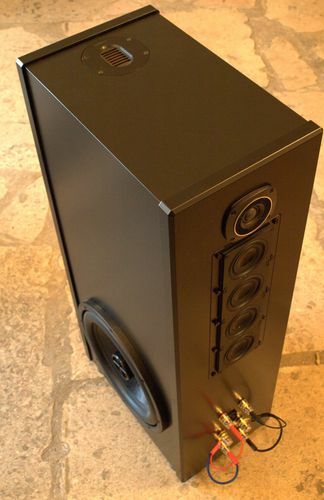 There is energy and harmonics of the music, which seems to lift the entire audio package including the base and all the way up when using a super tweeter. Though it does not work for all recordings with all the equipment. Signal chain should pass 50 kHz or higher, for it to be experienced in the sound, then lifted it up a notch. The fact that some instruments have energy of 100 kHz, is the incredibly exciting. In the link below you can read a little more about this spectrum of music. There’s Life Above 20 Kilo Hertz! There are eight drivers, four in front and as many straight on the rear side. These are only 3″ in size, but they are extreme, with three patents, after 14 years of development. They have a flat frequency response from 40 Hz to 23 kHz. RAW12 has two tweeters. A dome tweeter directs sound to the rear and a ribbon tweeter which is lightning fast, AMT (Air Motion Transformer), which direct the sound straight up at the ceiling. These are made of partially 25 mm aluminum (front and rear). Remaining is a combination of plywood and MDF, which is glued with glue damping. The total thickness is 40 mm for this part. The full range drivers are mounted on a separate 5 mm aluminum, which is then mounted on the large aluminum part. 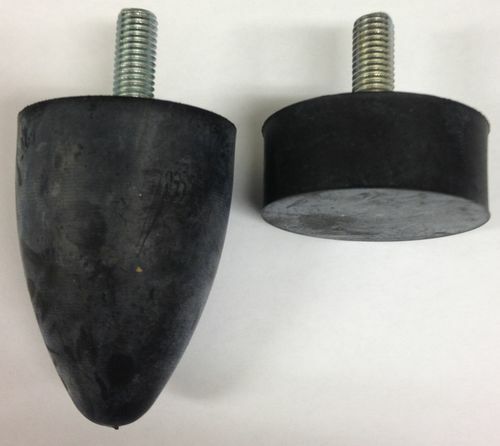 Between these two layers and the rubber blanket elements are mounted with damping polyamide screws. This provides a quick recovery of vibration for maximum sound. This concept we call MAD (Multiple Acoustic Damping). It is about adapting several parameters, such as insulation, damping, mass, absorption, resonance and conduction of sound. There are four chambers within the cabinet and without any parallel walls. 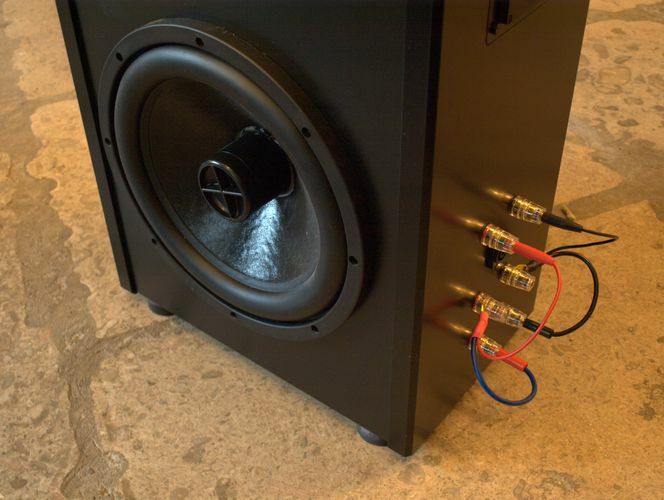 One chamber is for dampening resonance, as an acoustic filter and absorb turbulence from the drivers. The deisign is based on diffraction in large portions. Full box stands on sturdy rubber feet that are used in industry to minimize vibrations. These can be adjusted, if one wants to angle the closure. Supplied with the smaller foot, but it comes with two tapered feet, which can be mounted on the front frame, in order to tilt the box for better sound. You can adjust less with the short, fitted as standard, but the angle, we recommend switching to the tapered (look nicer). >>> See the curve upper curve shows the phase response and the bottom shows the impedance. We manufacture to order and we can customize the colors and materials. We supply themselves directly to you as a consumer. In Sweden we can offer acoustic analysis of your room at the time of delivery, in order to better optimize the sound and the placement of the speakers. Outside Sweden we ship with DHL or FedEx. After orders and when production starts, we will update you weekly, by mail, over the status. Estimated delivery time is approximately 6-8 weeks. The time depends in part on our overall workload.